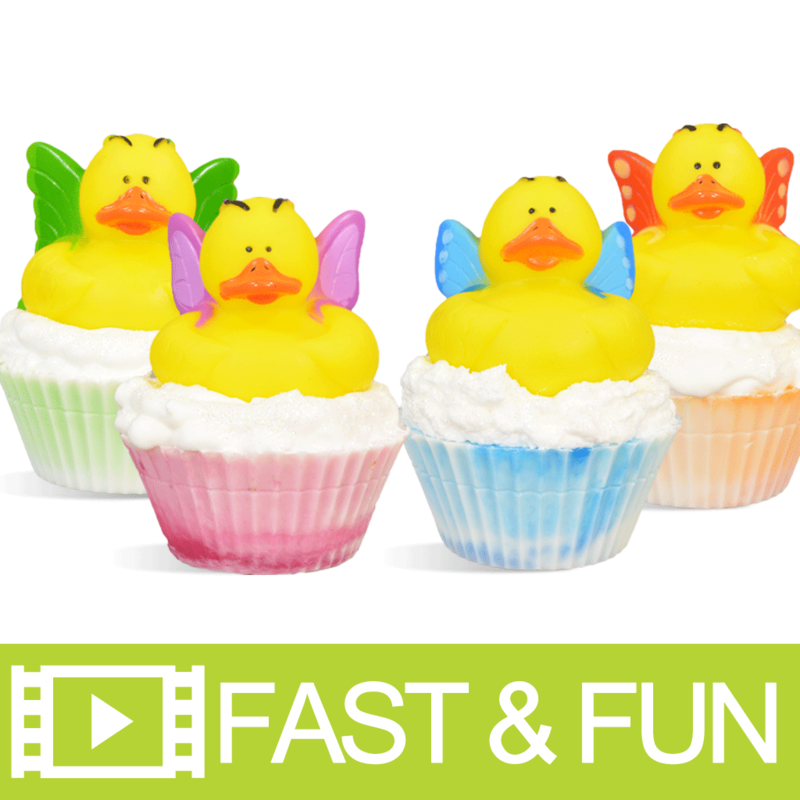 Watch and learn how these Butterfly Duck MP Soap Cupcakes are made. 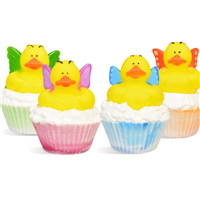 These soap cupcakes are screaming "here comes spring!" The cute butterfly ducks look adorable atop these soap cupcakes and will also make a fun toy to play with later. "Do you have to spray the cupcake with alchol before applying the icing soap?" Staff Answer No, you do not need to spray with alcohol before piping on the frosting.